B105 is proud to welcome Blake Shelton to Xcel Energy Center in St. Paul on Friday, March 15, 2019 and he's bringing a lot friends to join him on what promises to be a fun night. The Blake Shelton Friends and Heroes 2019 tour will also include Lauren Alaina and special appearances by The Bellamy Brothers, John Anderson and Trace Adkins. Tickets go on sale to the general public at 10:00 a.m. on Friday, November 9, but you can win them before they go on sale with B105. 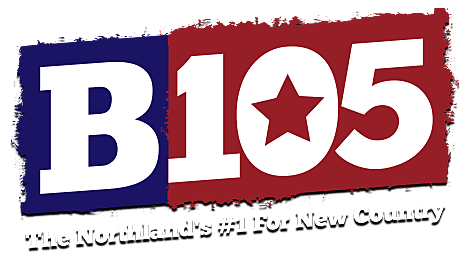 Beginning Monday, November 5, listen during the 8:00 a.m. hour as The Breakfast Club plays Blake Shelton or B.S. Ken and Lauren will offer potential winning callers several "facts" about Blake Shelton and the first caller to identity which one is actually true wins a pair of tickets to the show! Keep listening for official concert updates and good luck!